In this article my goal is to explain the various duties involved in the choir director’s position. First and foremost this person is a Music Minister. By this they minister though the use medium of music. It’s imperative that the church choir director be faithful in seeking the Lord’s will and aim to maintain Christ as the focal point. A church choir director needs an attitude that is teachable, and desires to grow as in individual and as a minister. In addition, The church choir director must have a call from the Lord for their ministry. This calling should be confirmed by others in the Body of Christ. Church choir director has many duties they perform in their job. A choir director needs a proven ability to bring others into planning and decision-making process. The church choir director works closely with the pastor and church staff in planning worship services. Together they plan, schedule and decide on the direction of the music program for the church. 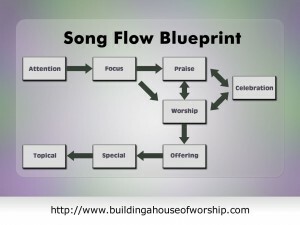 This is accomplished by organizing the church’s music ministry by directing vocalists and musicians in order to create an atmosphere of worship. As a group they will choose the songs built on the scriptures and message relative the Bible study teaching. The music selected should follow the theme of the Bible Study. Once a direction has been selected the church choir director will coordinate the vocalists and musicians with the calendar and direction of the church. He decides on who will sing and play instruments at given church service. He in charge of regular band practices. He sets the schedule for the church musicians. He will organize musicians and bands and set the schedule for the rehearsals. This person will be in charge of the maintenance and additions the church’s song library. In addition they will take care of all equipment, including instruments, supplies and music materials used in the church’s program. Some additional duties he will be responsible for include weddings and funerals to be conducted in the church. A church choir director manages the musicians and bands for activities like holidays, weddings or funerals conducted at the church. For these activities the music is selected to augment and the particular situation. For Holiday events the Church Choir director plans the music. The most common events are Easter and Christmas. In this article I want to share with you the various duties and roles involved with a music minister job. The Music Minister interacts with the church staff and leadership in directing, planning, and scheduling the music program. The staff can include the head pastor, teaching pastor, Sunday school coordinator. The goal of the music ministry should be to provide opportunities for spiritual growth for a church congregation through of music. This is accomplished by organizing the church’s music ministry by directing singers and musicians in order to create an atmosphere of worship. The Music Ministers works with the pastor and church staff in planning worship services of the church and is responsible for the selection of the music. Together they will select the songs based on the message and scriptures relative the teaching. The music selected should follow the theme of the sermon. Once a direction has been selected the Music Minister will coordinate the singers and musicians with the calendar and emphases of the church. A Music Minister leads the singers and musicians. He selects who will sing and who will play instruments at given services. He will also direct weekly band practices. He will coordinate the performance schedules of music groups and individuals in the functions of the church. The Music Minister will supervise maintenance of and additions to music library and equipment, including music materials, supplies, instruments and other music equipment for use in the church’s program. A Music Minister coordinates the musicians and bands for special events such as weddings, funerals and holidays held at the church. The music needs to be selected to enhance and the specific situation. He must be aware of weddings and funerals to be held in the church. T he Music Minister plans the music for holiday services such as Easter and Christmas. He will coordinate specific musicians and bands and set the agenda for the rehearsals. A Music Minister additionally gets the opportunity to teach a class or on occasion give sermons on the role of music in the church. He may have the opportunity to enter into Sunday school classes and share his love of music as a tool for worship. He will also be responsible for training and use of instrumentalists and vocalists in groups or as individuals. The Music Minister must have a self-awareness of receiving a call from the Lord for their ministry. This calling should be confirmed by others in the Body of Christ. A Music Minister needs a sprit that is teachable, and desires to grow as in individual and as a minister; In addition the Music Minister needs a proven ability to bring others into planning and decision-making process. It is important that the Music Minister be faithful in seeking the Lord’s will and strive to keep Christ the vital focal point in life. 1 Kings 5:17-18 And the king commanded, and they brought great stones, costly stones, and hewed stones, to lay the foundation of the house. 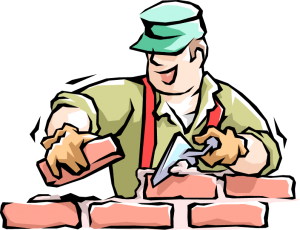 And Solomon’s builders and Hiram’s builders did hew them, and the stonesquarers: so they prepared timber and stones to build the house. Luke 6:48-49 He is like a man which built an house, and digged deep, and laid the foundation on a rock: and when the flood arose, the stream beat vehemently upon that house, and could not shake it: for it was founded upon a rock. But he that heareth, and doeth not, is like a man that without a foundation built an house upon the earth; against which the stream did beat vehemently, and immediately it fell; and the ruin of that house was great. Why the Foundation is so important. Any building needs solid foundation in order to remain standing. The foundation is the base upon which everything is built. In our study here we need to understand that Jesus is the foundation to everything we do in the worship ministry. In this section we will examine the relationship we have with him and how to maintain that relationship so that the foundation will remain strong and solid. Before anyone can worship God they must first have a relationship with Him. Once you have the relationship then and only then can you truly worship in spirit and in truth. In this chapter I will share with you three reasons to worship. Each of these reasons is built on a relationship that is only available through fellowship with God, Jesus and the Holy Spirit. First you need to know that God loves you very much. Second God gives us grace that allows us to love Him. And third because of our relationship we have a hope for our future. First you need to know is that God loves you. He always has and always will. I believe one of the greatest experiences is to know that you are loved. That by itself is reason enough to worship God. After all, God is the creator of love. He is the very essence of love. Not only does he love us; He also wants to have a relationship with us. We were created to have fellowship with God. Fellowship is a relationship. Since God loves us we ought to show our appreciation. We do this through our worship of Him. But the reason for loving God goes even deeper. You need to understand that God loves you so much. He desires intimate fellowship with us. That is where the second reason to worship comes. The second reason we worship God is that we received His wonderful gift of grace. Let me explain. We are sinful by nature. We are born that way. It is our heritage. The problem with this is that when we are in the state of sin we are unable to truly experience God’s total love toward us. There is a barrier between God and us. This barrier is so large no man can bridge the gap. We are stubborn, self-willed, and independent wanting to do what we want. It is our desire to feed our flesh with worldly things. While in the state of sin we have a death sentence on our life. Our destiny is eternal damnation totally separated from the best things that God offers. You will never experience the fullness of worship unless you have an intimate relationship. But, in His mercy towards us He provides a fool proof method of reconciliation. Grace is getting what we don’t deserve. Here is the key to grace. If you learn anything reading this article this is the most important. He sent his son Jesus to reconcile us back to God. Jesus paid the debt we owed because of sin. He took on death and beat it. His pure a sinless life allowed Him to rise from the dead. Through Him we can now have the kind of fellowship God wants. All a person needs to do is believe the gospel is true. We worship Jesus for the great and mighty sacrifice He did to restore our relationship with God. Not only does God love us and have given us a priceless gift of grace, he also gives us a hope for the future. The very moment you receive the free gift of salvation immediately you have a place in heaven. You citizenship is there. Your name is written in the Book of Life. As a matter of fact Jesus is there preparing a place for you. The thing about worship is it is an opportunity to prepare for our time in heaven. You can begin to experience a taste of heaven. The most precious moments I experience when I worship are those times when I am in the very presence of God. What I desire is to think of this as practicing for that day when I am before God in all His glory, bowing down at the throne. Seeing Him face to face for the very first time in person. Worship allows us to get a small glimmer of this. I get excited when I meditate on this awesome time. Now that we have taken a journey toward the reasons we worship let me recap. First, we know that God loves us very much. He desires to have fellowship with us. But because we are by nature sinful we are separated from God’s love. It is impossible for us as individuals to fix that. Which brings us to the second point. God gives us grace. He devised a plan that allows us to be reconciled back to Him. Jesus came to die on a cross for our sin. But, because He was without any sin he was able to beat the death sentence and raised up from the grave. The grace is that we have salvation by believing in Jesus. That’s it! It is so simple. Just receive it. And third, God did all of this because He desires eternal fellowship. Therefore, He have given us a future hope in that we can now live forever and we have a place in heaven. One final thought. You need to be connected to the Savior Jesus. If you have never asked for salvation, now is the perfect time to begin a relationship with God through Jesus. Ask Him today and believe me you will never be the same. Here is a prayer you can pray to begin your journey with Jesus. Lord Jesus, I need you. Thank you for dying on the cross for my sins. I open the door of my life and receive You as my Savior and Lord. Thank You for forging my sins and giving me eternal life. Take control of my life. Make me the person you created me to be. * Read your Bible everyday to know Christ better. * Talk to God in prayer every day. * Tell others about Christ. * Worship, fellowship, and serve with other Christians in a church where Christ is preached. * As Christ’s representative in a needy world, demonstrate your new life by your love and concern for others. Before you are able to truely mininster to the people you serve, you must have a foundation that is built on Jesus. That foundation is started at the point you begin a relationship with God though His son Jesus. This is the greatest give anyone can receive and the best part it is absolutely free. Take advange of your position in Christ. Know that he loves you and that he has a hope for your future.